We have been learning about QR (Quick Response) codes. These are like barcodes and they can be scanned with a phone, ipod touch, ipad or some laptops with a camera. Today we used the ipod touches to scan QR codes during e-learning with Mrs Stubbings. We really liked scanning the codes to find out the questions for our quiz. 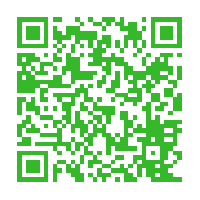 Here is a QR code that we have made. Can you scan it and find out our message?